The Kettler Stroker Rowing Machine is an excellent choice for beginners who are seeking for a full body workout using a single machine. This German-engineered equipment is mostly made of a powder-coated steel frame that makes it extremely durable and stable. It may be larger than other rowing machines within its price range, but since it’s foldable and has transport wheels, you can easily transfer it to the storage room. 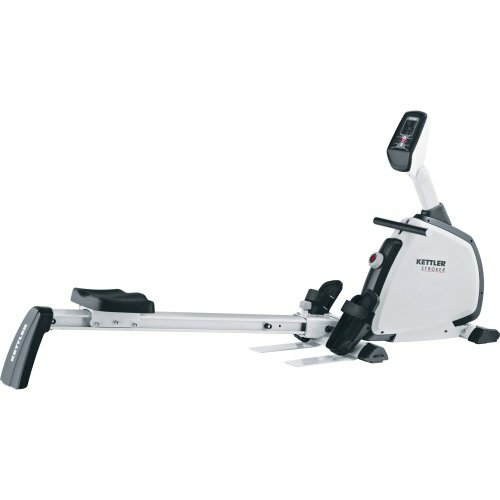 This rowing machine is a bargain especially now that it’s offered at a discounted price (at the time of writing this). But before hitting that “Buy Now” button, read this article to help you make an informed buying decision. As mentioned, Kettler products are known to be strong because of their German engineering. 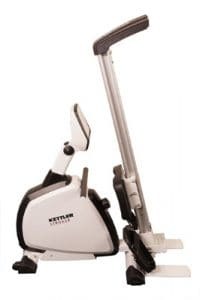 The Kettler Stroker Rowing Machine isn’t an exception as it can support a maximum user weight of 130kg, making it reasonable for its mid-level price range. 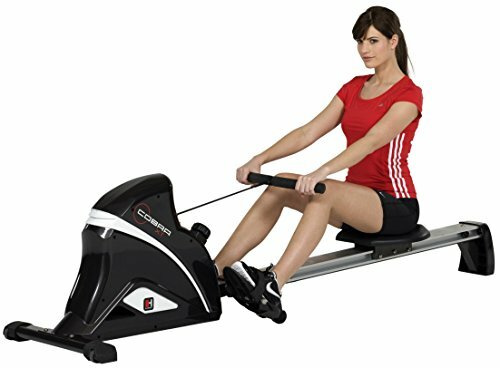 If you a little or no experience with rowing machines, this model will make you feel safe and comfortable because of its exceptional stability. It’s also equipped with a 4kg flywheel that provides you with a smooth and quiet workout. The eight resistance levels in this rowing machine will allow you to burn more calories helping you achieve optimum results. Rowing is an effective total body workout that can be done by anyone. With the Kettler Kettler Stroker Rowing Machine, you’ll be able to achieve your goals faster as it can offer your more than just rowing. Because of its rope-driven mechanism, it can also be used for different types of exercise such as extensions or crossover pulls. That means you can use it as a regular rowing machine while seated on the smooth gliding seat, or you can pull the rope while standing for other workouts. 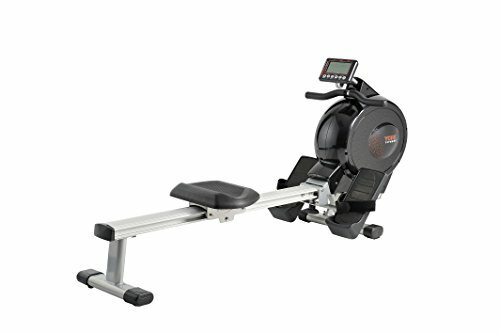 This rowing machine has eight levels of magnetic resistance that can be manually adjusted by rotating the knob that’s placed just right below the handle. Even if you’re a first timer with this kind of exercise machine, your first encounter with the Kettler Stroker Rowing Machine won’t be frustrating at all. Its straightforward console is equipped with an easy-to-use sweat resistant keypad and each feedback displayed is clearly labelled. 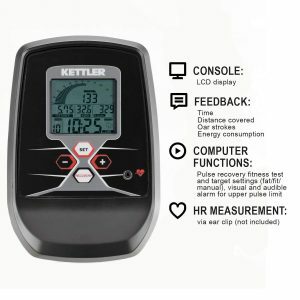 Aside from the standard data that can be measured by most rowing machine like time, distance, and the number of strokes, this model can also monitor your heart rate using an integrated POLAR compatible receiver. All you have to do is wear the chest strap (included), and the machine can wirelessly keep track of your heart rate. The Kettler Stroker Rowing Machine is quite a large equipment with 218cm(85.8in) in length, 60cm (23.6in) in width, and 98cm (38.6in) in height. However, if you feel like it would take up a lot of your personal space, worry not because it can be folded upright so you can enjoy the comfort of your home. This fitness equipment also has built-in transport wheels for easier movement around the house. If you’re looking forward to getting a really intense workout that will push your limits, the Kettler Stroker Rowing Machine might not be the best option for you. This exercise machine mostly caters to beginners who must start with a gentle workout until they are strong enough to handle tough resistance. Another issue that I have noticed with this rowing machine is that the LCD monitor is not backlit. This will give you a hard time to see the feedback in when you plan to workout at night, or if the room is poorly lit and even when there’s too much light. The Hammer COBRA XT Folding Rowing Machine also boasts of being TUV certified to German standards, so you’re guaranteed it’s stable. It can support a maximum user weight of 120kg, and its 5kg flywheel with ten levels of resistance can provide you with multiple intensity workouts. This rowing machine provides an efficient total body workout for all fitness levels, from novice users to pros. If you’re curious on why it’s called a “Cobra”, that’s because it exactly looks like one when it’s folded upright. So, be careful when you notice its reflection in the dark! If you’re not satisfied with the workout you get on magnetic resistant rowing machines, you should try using the Bodymax Oxbridge HR Air Rowing Machine. Air resistance, unlike magnetic resistance, naturally makes rowing harder by adapting to your pace. This rowing machine offers eight levels of smooth air resistance to keep you challenged and it has a maximum user weight of 115kg, and even tall people will be able to do full strokes on the equipment. 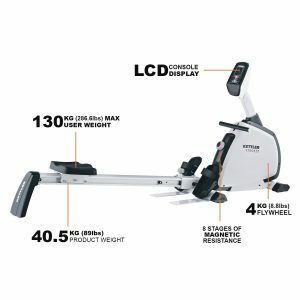 The SportPlus SP-MR-009-iE Rowing Machine is a more affordable option, yet its features can be compared to more expensive models. This rowing machine allows you to view your data on your smartphone or tablet with the use of the Cardio fit App. It also allows you to create your own tracks on Google Maps and run them in street view mode where you can view the actual streets on your device for a more realistic feeling. This rowing machine also features 24 levels of magnetic resistance which can be adjusted via computer and it can support a maximum user weight of 150kg. 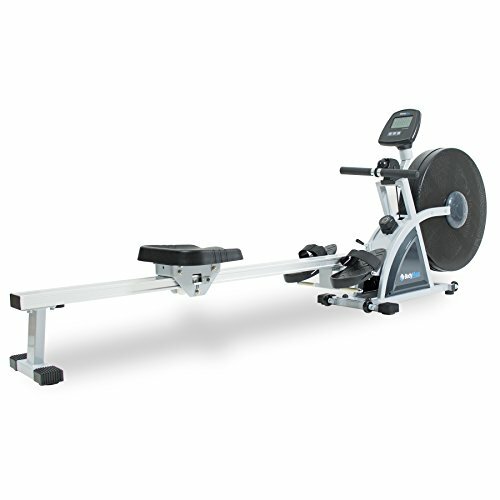 The York Excel 310 Rowing Machine is another reliable model from an established fitness equipment manufacturer. It highlights a 5.75 LCD display wherein you will be able to see your feedback at any angle. The maximum weight capacity of this rowing machine is 120kg, and its 6kg flywheel allows it to operate smoothly without making any noise. It also bears a 113cm aluminium track so tall people can achieve full strokes, and it’s equipped with 16 levels of manual magnetic resistance. After carefully reviewing the Kettler Stroker Rowing Machine and comparing it to other models; it’s pretty obvious that there are a lot of better options. However, durability-wise, this rowing machine wins if you look at how much weight capacity it can hold and it’s price point. 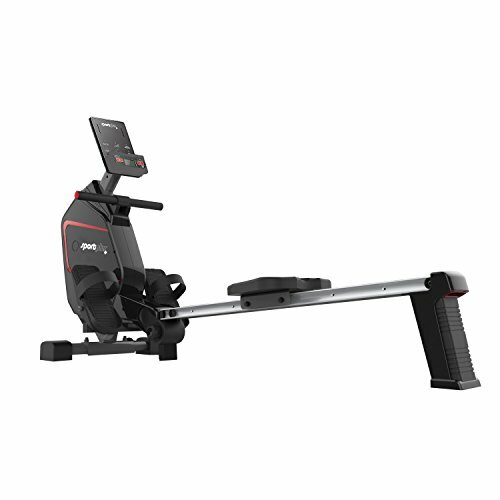 It may lack some advanced features that can be found on other rowing machines, but its quality is what will give you the excellent value for your money.